Our popular knitting circle, Knit Happens, will continue to run for the rest of August on Wednesdays at 11a.m. in the Library’s Digital Media Experience Lab (DME) on the 3rd floor of the Student Learning Centre (SLC). 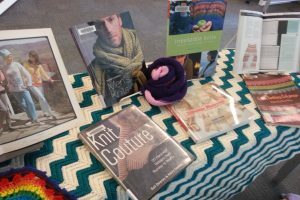 Have a look at the display in the Research Help area near the bridge to the SLC, which features some knitting and related titles from our collection. Display of books from the collection relating to knitting and fashion. 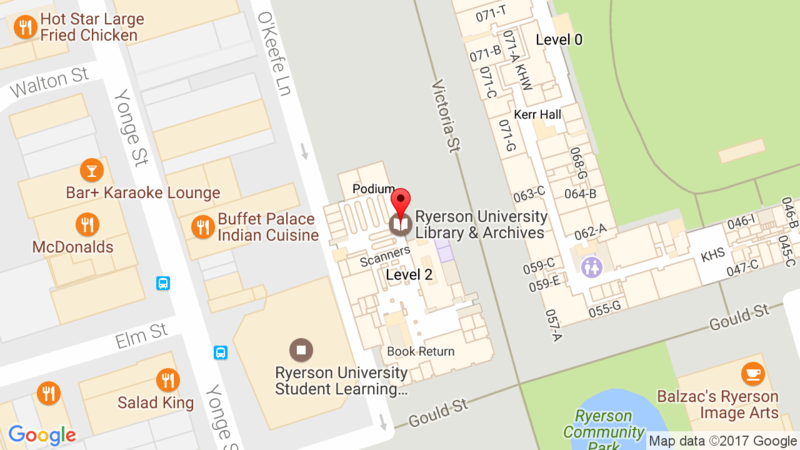 No registration needed, just drop in to work on your knit projects with fellow knitters, or learn some knitting basics from some crafty Ryerson librarians. Everyone is welcome, regardless of their skill level. In September, Knit Happens will move to Tuesdays at 11a.m. The knitting skills learned at this drop-in will help students progress to future workshops planned around knit-wearable projects and computational fabrics / wearable computing, which may be of interest to those with knitting experience. The DME is a space designed to help all Ryerson students learn basic and advanced digital skill-sets, while exposing them to new and emerging technologies.